The decade after Return of the Jedi premiered in theaters in 1983 was a dark period for fans of the Force. The only place to get a glimpse of a possible future for the Star Wars universe was in Marvel Comics, but that fizzled out in 1986. 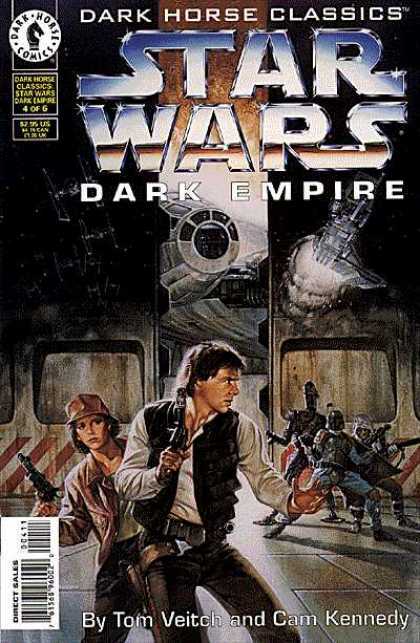 In that same year Mike Richardson’s Dark Horse began publishing comics and five years later, in 1991, Dark Horse published the exciting Dark Empire series, its first Star Wars title under its license with Lucasfilm. The next year Timothy Zahn launched the first book in a trilogy, Heir to the Empire, and between Zahn’s books and subsequent novels and Dark Horse’s various titles, fans could at last revisit their favorite characters and places, in the same way fans of Star Trek had been able to enjoy that franchise for decades. With Lucas selling Star Wars to Disney, Disney has already taken over the Star Wars novels, resulting in some fun reads in the past year (see our advance reviews here and here). 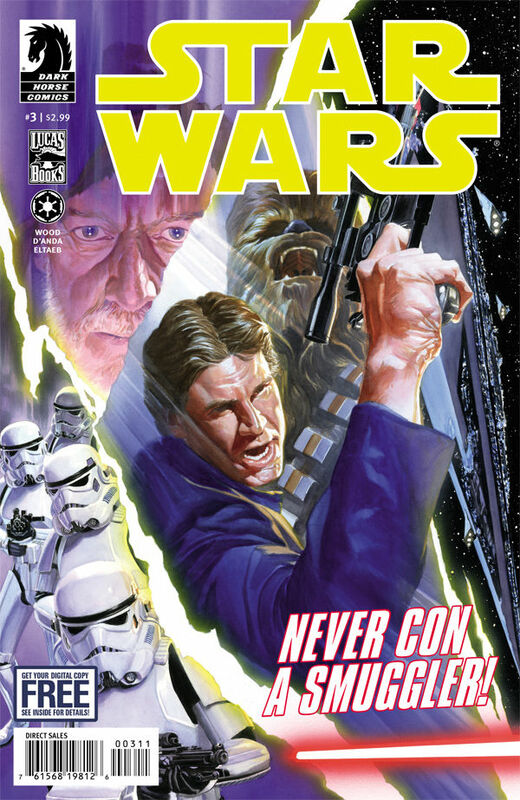 Beginning in January a new Star Wars series begins, back at Marvel Comics, throwing out the continuity developed over 23 years at Dark Horse. Fans should have no fear, as writers and artists from the Dark Horse years are already creating the architecture of the Empire and Rebellion for Marvel. What is uncertain is the fate of the hundreds of comic books in the Dark Horse catalog, since Dark Horse may not sell any of those after this Thursday, January 1, 2015. Marvel Comics will likely re-publish the bestsellers under its new “Legends” brand, but it’s not known whether more obscure titles will be offered for years if ever again. So Dark Horse is going out in style, and as always, looking out for its readers, offering 50% off single-issue digital comics on its website, plus a “Farewell Star Wars Bundle,” all of Dark Horse’s digital Star Wars issues for $300. At first blush this appears to be 568 issues of comic books, but if you delve deeper you’ll see it also includes the full run of Marvel’s Star Wars issues #1-107, plus a few dozen issues in each of 12 other included “Omnibus” editions. 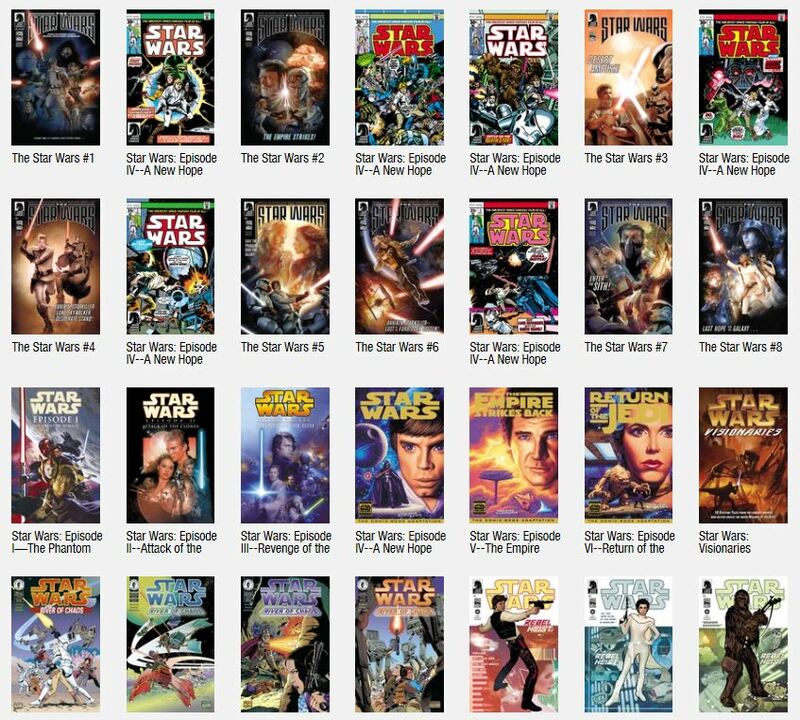 You’d pay $1,000 easily for those in single issues of Marvel’s Star Wars run today. So basically you’re getting hundreds of comic books, many with cover prices at more than $3.50, for less than 50 cents each. But there’s more reasons this bundle is a real deal. The bundle includes Dark Empire and its sequel series, comic book adaptations of all six movies, this year’s Star Wars: Rebel Heist, and the New York Times bestselling series The Star Wars. It also includes all the recent Star Wars monthly issues, the parallel universe trilogy Star Wars Infinities, and the awesome Star Wars: Agent of the Empire. These alone are worth the investment, plus you get countless other series shown at the Dark Horse website here. You can also order your bundle or buy individual digital copies for download here. So act fast–the deal expires January 1.